When the Chrysler Corporation began rebuilding its car business after recovering from its 1980 bankruptcy, the front-wheel drive K-car platform became the basis for many of its cars. It was a very successful strategy that saved Chrysler and allowed it to pay back all of it’s bankruptcy loans. Chrysler by the time the 1980s were over, was a very profitable company. However it came at a cost, with Chrysler focusing on K-car related offerings. Starting in 1990, there wasn’t a rear-wheel drive performance car in any of the Chrysler Corporation’s offerings. Chrysler realizing a need for this type of car released a 2-seat high-performance sports car called the Dodge Viper. The Viper made its debut for the 1992 model year. It was a smash success. This was the first time the Chrysler Corporation produced a 2-seater sports car. It was a super car with an 8.0 liter V10 producing 400 horsepower that went 0-60 mph in 4.5 seconds and the quarter mile in 12.9 seconds. The 1992 Chevrolet Corvette ZR1 which had a 0-60 mph time of 4.3 seconds and a quarter mile time of 12.6 seconds, was the Viper’s only competition. The 1992 Viper had a base MSRP price of around $50,000 versus the 1992 Corvette ZR1 which had a base price of a little over $60,000. The 1992 Viper was a success, it allowed Dodge to become known as a performance car brand again after a long hiatus. The Viper became America’s exotic super performance 2-seater, which during many of its model years usurped the best performing Corvettes Chevrolet had to offer. The massive pushrod V10, based on the Chrysler LA small-block V8 architecture, has become a legend. Now let’s fast forward to 2017 which happens to be the last production year for the Viper. After 25 years the Viper will be laid to rest. Only during the 2011 and 2012 model years, was the Viper not produced. 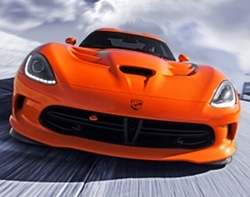 Dodge went to great lengths to bring the Viper back for 2013. So what went wrong? Two reasons, the Viper became too specialized in its mission and too expensive for most performance car buyers. The net affect is that Viper sales have been lacking to the extent where Dodge no longer sees the Viper as an economically viable car. Total Viper production for 2016 was around 590 units. Production for the 2017 Viper may be even lower than this figure. So you can see why Dodge is pulling the plug. transmission. It handles like it’s on rails like any well-balanced race car. This is the strong appeal of the Viper, it’s stuck in a bygone era when a driver actually had to have real driving skills to maneuver a high-horsepower sports car. In other words it’s a real driver’s car that your average Internet billionaire wouldn’t have the skills to drive. However due to Dodge’s failure to not bend to the current sports car trends such as automatic transmissions with steering wheel paddle shifters, has left the Viper in a small corner by itself with an extremely small buyer base. Dodge could fix this by offering it’s 8-speed automatic transmission and paddle shifters as a Dodge Viper option. Chevrolet understands this, and its 2017 Corvette offers both a 7-speed manual transmission and an 8-speed automatic transmission with steering wheel paddle shifters. Not having a convertible option the last few years, has also limited tremendously the Viper’s appeal to a different array of buyers. At one time the convertible was the best selling Viper model. Bringing back the convertible model would most certainly increase Viper sales. Another area where Dodge could have easily broadened the Viper’s appeal was offering as Viper engine options its SRT tuned V8s: the 485 horsepower 6.4 liter Hemi and 707 horsepower supercharged 6.2 liter Hemi. Though the V10 has a nice deep rumble, the Hemi V8 has that traditional muscle car sound nailed. Imagine the sound of a Hemi V8 emanating from the Viper’s side exhaust. That sound would be the money going into Dodge’s coffers from skyrocketing Viper sales. We’ve all heard the excuse that the modern Hemi V8’s don’t fit under the Viper’s hood. That’s a problem that can be fixed by adding a big bulge to the Viper’s hood, just like Chevrolet does with it’s current generation Corvette Z06. Now let’s look at price, even with The lowest price 2017 Viper is the SRT Coupe, it has a base price of $87,895. This is expensive but much lower than than the base price of around $100,000 of the 2014 Viper SRT Coupe. Dodge dropped the price by $15,000 for 2015, but the Viper SRT Coupe still lagged in sales. There’s no doubt the Viper SRT offers a lot of punch for the money with a powerful V10 and great handling, but’s too expensive for most performance buyers. And the price continues to climb as you move up to other Viper models such as the GT Coupe which starts at $98,495, the GTS Coupe which starts at $110,595, and the ACR Coupe which starts at $121,395. The 2017 Chevrolet Corvette produces 460 horsepower and has a base price of only $55,450. If Dodge offered the base Viper SRT with the 485 horsepower 6.4 liter Hemi V8 at around $55,000, Viper sales would skyrocket. 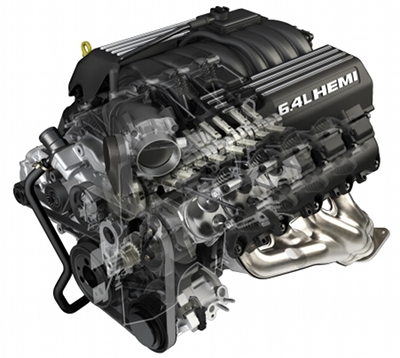 On the opposite end of the scale Dodge could offer a Viper GT or GTS with the 707 horsepower supercharged 6.2 liter Hemi V8 for $80,000. This would certainly boost Viper sales. As a comparison the 2017 Corvette Z06 which produces 650 horsepower has a base price of $79,450. We feel confident that if these changes were made to the Viper, it could easily be saved from extinction. Sales would definitely increase and Dodge could keep it’s revered 2-seater sports car. But this advice comes too late. But maybe not, there are rumblings currently within the corridors of Dodge, that the Viper may make a return sometime in the future. Let’s hope these rumors are true and that Dodge makes the necessary changes we recommend to ensure it sells better than the current Viper. In closing the Viper is a great sports car and deserves to live on.